This close to the 2012 presidential election, most of the significant endorsements from unions, politicians, publications, and especially celebrities have already been made. But apart from vocally supporting progressive causes and President Obama, and donating to his campaign, Joss Whedon has largely remained silent on the big issues. Which has left the important, potentially undecided People Who Worship The Guy Who Created Buffy The Vampire Slayer And Directed The Avengers And By The Way, Where’s Firefly??? voter bloc adrift at sea, with no idea how to vote. 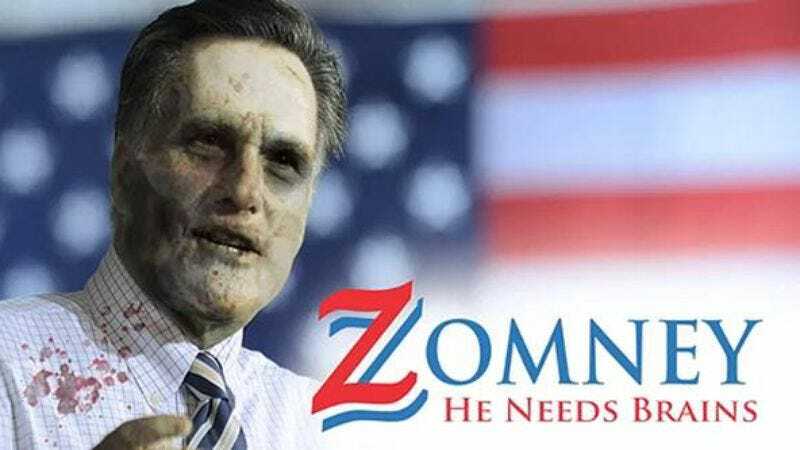 There’s more, about the importance of hoarding canned goods, learning parkour, and avoiding Ayn Rand fans, and the question of whether we’ll be facing 28 Days Later fast zombies if Romney is elected, or the George A. Romero slow-inevitability-of-death kind. But the primary message is that Romney’s policies would be disastrous for America, particularly for its inhabitants’ tasty, vulnerable brains. That said, if Romney gets elected and the zombie apocalypse does happen, and assuming Joss Whedon is a good runner and doesn’t get eaten too early, wouldn’t a Whedon series about the zombie apocalypse, starring Nathan Fillion’s eviscerated, reanimated corpse, be pretty cool?